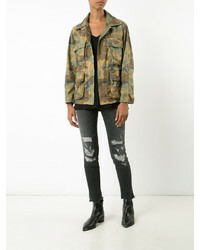 An Amiri camouflage print jacket from farfetch.com and black ripped skinny jeans is a wonderful pairing to add to your casual repertoire. Take a classic approach with the footwear and rock a pair of tan leather pumps. 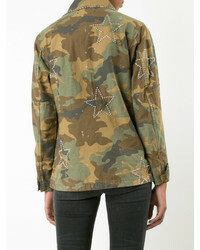 If you're all about relaxed dressing when it comes to your personal style, you'll love this super cute combination of an Amiri camouflage print jacket from farfetch.com and blue denim shorts. For something more on the daring side to complete this look, choose a pair of gold leather flat sandals. 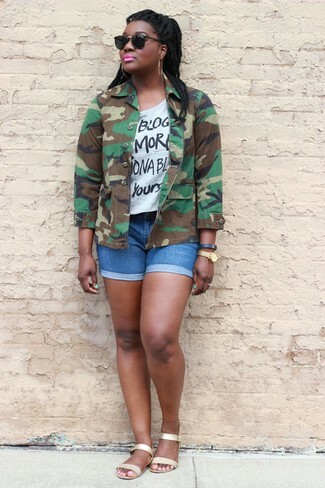 If you're a fan of comfort dressing when it comes to your personal style, you'll love this adorable pairing of an Amiri camouflage print jacket and black shorts. If you're all about relaxed dressing when it comes to fashion, you'll love this totaly stylish pairing of an Amiri camouflage print jacket and light blue ripped boyfriend jeans. Kick up the cool of your outfit by rounding it off with grey leather ballerina shoes. We're all outfiting for comfort when it comes to dressing up, and this combination of an Amiri camouflage print jacket from farfetch.com and a black skater skirt is a practical illustration of that. Take a classic approach with the footwear and make black leather ankle boots your footwear choice. 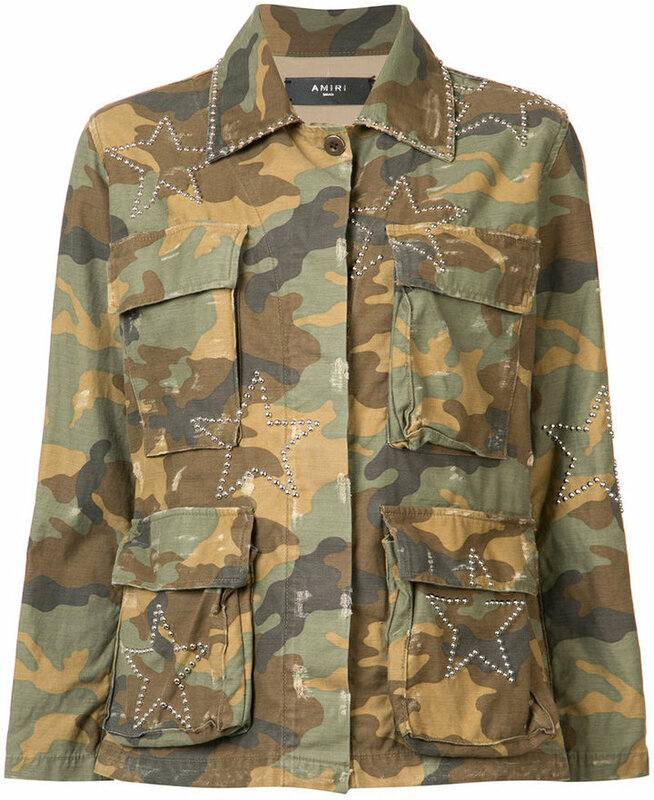 If you're obsessed with relaxed dressing when it comes to fashion, you'll love this incredibly stylish pairing of an olive camouflage military jacket and black skinny jeans. Grey athletic shoes will add more playfulness to your getup. If you're all about practicality dressing when it comes to your personal style, you'll love this cute combination of an Amiri camouflage print jacket and blue ripped boyfriend jeans. 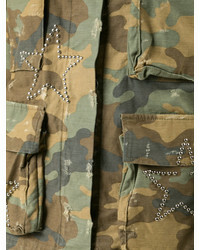 Wear an Amiri camouflage print jacket and a white and black horizontal striped casual dress to be both neat and relaxed. Up the cool of your outfit by complementing it with beige suede heeled sandals. If you're a fan of relaxed dressing when it comes to your personal style, you'll love this super cute pairing of an Amiri camouflage print jacket and burgundy leather skinny jeans. When it comes to shoes, this ensemble is round off wonderfully with white low top sneakers.